It breaks my heart to have to tell you that this morning, my dear friend and blogging partner, Janga Rholetter lost her battle with cancer. Some of you only knew her through her insightful and flawlessly written reviews here at the Dish. Others may have met her years ago at Squawk Radio or on the Eloisa James bulletin board or, perhaps, more recently on Facebook or Twitter. Janga was an admired and respected voice in the Romance community and a valued friend to many. I had hoped we would have more time to giggle together on the phone like schoolgirls; swooning over romance heroes like Parth in Born to Be Wilde, tomorrow's release from Eloisa James, or admiring the beautiful prose and laughing over the hilarious humor in Julie Anne Long's Hellcat Canyon books or lamenting the fact that more readers don't know about the brilliance of Anne Gracie and her wonderful historical romances. But God had another plan and our loss is Heaven's gain. Janga's faith was deep and she was at peace with the knowledge that her next adventure was on the horizon. Janga loved the English language and was a staunch advocate of the written word. For those of you who only knew her through the blog, you may not be aware that she also loved introducing young minds to written works that touch our hearts, challenge us to think, and turn stereotypes on end. For 37 years, she shared her love of literature of all kinds - but especially Southern literature - as a teacher at a local high school and then at Auburn University. Last week, I was on the phone ordering birthday flowers for Janga from one of the florists in her hometown. The woman taking my order suddenly asked, "Is this for the same Ms. Rholetter who taught at Troup High?" I replied that it was. She said, "She was my teacher! My brother's too. I loved her class! I learned so much from her. She was my favorite teacher." I can think of no better tribute to a woman who held education and the written word in such high regard. I loved her class. She was my favorite. I learned so much. I treasure the years of friendship with which Janga and I were blessed. I also learned much from her, I admired her, I loved her, and I will miss her deeply. Rest in Peace, dear Janga. You may be gone from this life but your footprints will never fade. Tomorrow is a big romance release day and those days were among Janga's favorites. The best way I know to honor my friend is to support a hardworking author by buying one of the books releasing tomorrow, getting comfy, and losing myself in a world of hope, a world of love, a world of happy endings. I hope you'll do the same. 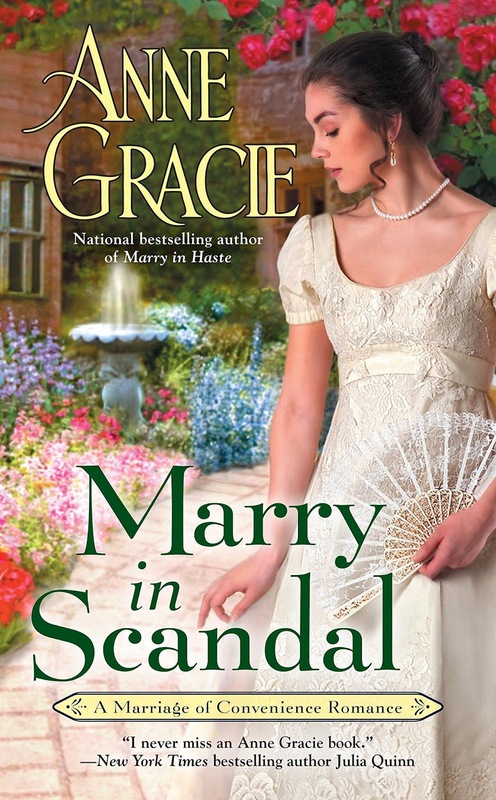 or Marry in Scandal by Anne Gracie. PJ, I am so sorry for your loss. Janga was one of the original Dishes I remember when I started reading the blog. I will pray for the repose of her soul, and for her many friends and admirers who will miss her dearly. She will be missed by many LSUReader. My condolences to you, PJ, and to all who have known her. I have greatly enjoyed her reviews and picked up books upon her recommendations here. She introduced me to Anne Gracie's books and I introduced her to Meredith Duran. It was one of our favorite things to do. I am so sorry for your loss. You wrote a wonderful tribute to your friend. Please do not count me in for this drawing as I read contemp and let someone who enjoys historical romance enjoy the books. PJ, I only knew Janga through this blog, but I so appreciated her stellar reviews and the friendship you two shared on these pages. My condolences to you and thanks for sharing such a beautiful tribute. She had a beautiful soul that touched hundreds of people who only knew her online. I was blessed to also know her in person. Hi PJ, I'm so sorry to hear of Janga's passing and this is a such wonderful tribute to her. I know she's looking down on us from above and enjoying her new adventure. I believe that she is, Anita. I'm so sorry for the loss of your dear friend Janga. I knew her through this blog and her wonderful reviews. This post is a beautiful tribute to Janga. Thank you, Carol. She will be missed by many. Thanks, Vanessa. She was indeed a woman of true intellect and class. A very fitting description. Vanessa, hi! What a great way of saying who Janga was. She'll be much missed. I am sorry and saddened by this loss. You are richer for knowing Janga. I believe we all are, traveler. I am so sorry to learn that we lost Janga whose beautiful reviews gave me such pleasure. Your tribute is lovely. So very sorry to hear this. I didn't know her but knew of her. You couldn't be in the romance world without coming across her in blogs or different sites. "She was my favorite teacher" - I hope she knew that!! I was shocked and saddened to read about Janga passing away. . She is going to be greatly missed by everybody. You were very blessed to have her as a dear friend. May she R.I.P. I was indeed blessed, Diane. And, yes, she is already greatly missed. I am so sorry to learn of Janga's passing. I first met her on the Eloisa James bulletin board where her wisdom,knowledge and sense of fun were much appreciated. Her love of romantic fiction was inspiring ... my TBR is full of her many recommendations. If she forms a book club in the next world I shall definitely be applying for membership ... when the time comes! If she forms a book club in the next world I shall definitely be applying for membership ... when the time comes! Quantum, hi! It's wonderful that Janga has brought together so many of EJ's Bon Bons. PJ - That was a lovely tribute. I'm very sorry for your loss. It's wonderful that you gained such a good friend through your shared love of books. Book friends are great friends. I am so very sorry to hear this news. My sincere condolences to her family and friends. I'm so sorry to hear this, but what a beautiful tribute to a beautiful soul. One of my favorite Dumbledore quotes lends itself here, "to the well-organized mind, death is but the next great adventure". May she continue on to her next great adventure. She certainly had a well-organized mind, Katie. I like to think of her up there in Heaven, sharing her many book related lists and debating the merits of alpha vs her beloved beta heroes. Read and enjoy it for her, regencygirl. She would like that. Beautiful tribute, my friend. No need to enter me. I, too, will be nestling into Eloisa's book and all the others out today. LYG! Santa, hi! It's so wonderful to see all the Bon Bons come out here to remember dear Janga. I'm so glad to know that, jcp. She loved writing that column. 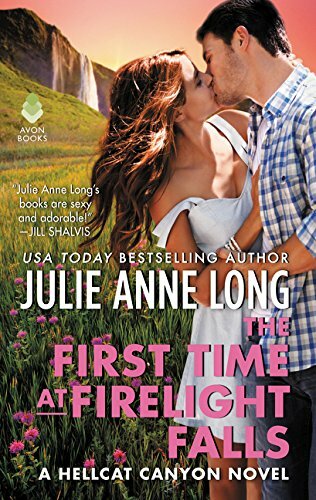 I loved her reviews and she introduced me to authors such as Julie Anne Long. May she rest In peace and I'm sure there will be lots of wonderful writers in heaven she will be reacquainted with. She loved introducing other readers to her favorite authors. It was one of her favorite things to do. I've been sorta numb since I heard the news last night, but today when telling my coworker about Janga, I lost it. But I do love the thought of her running down Miranda Nevelle and Jo Beverly for some bookclub talk. Janga was just one of the most thoughtful, gentlest, kindest souls I've known (and I've only known her through websites!) --she always struck me as a real Steel Magnolia. Kindness, but also firm when needed. And I can't imagine a better tribute from one of her students. Reading her blog posts and reviews, I always learned something new, learned a new way of thinking about something, and always always came away with a book to put on my TBR list. I envied her way with words and always longed to read more of her writing. She will be dearly missed. My love to all her family and friends. 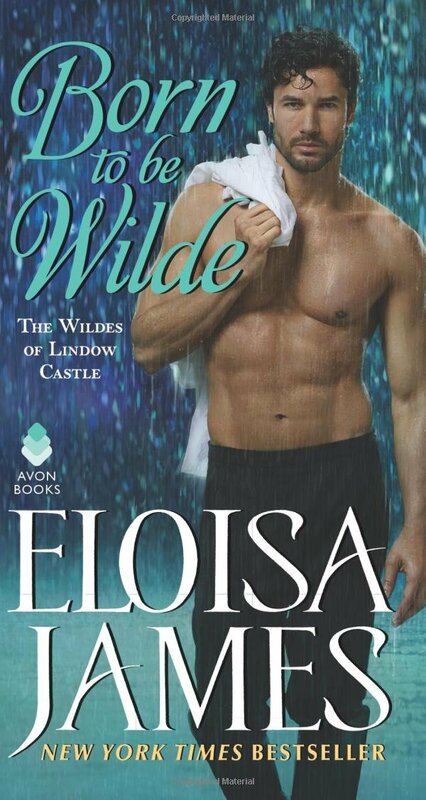 And I too have a copy of Eloisa's newest that I will be reading and thinking of her. I always thought Heaven was a place where every book ever to be written was there...so I think Janga is reading right along side us. Actually she's probably already finished the book and talking about it with Miranda and Jo. At least I hope so. Hellie, this is so very well said. You put everything I was feeling in words and more. I love the idea of Janga spending time in Heaven with Miranda and JoBev. I am so very sorry and sad to hear of Janga's death. She will be missed by many. Sending hugs and prayers to you, her family, and friends. I was shocked and saddened when I heard the news. I didn't even know that Janga was fighting cancer. I so enjoyed getting to know her here and on Facebook. I appreciated her sharing her love of romance novels and poetry. Her reviews were insightful and very well-written. She will be missed. I extend my sympathy to you, PJ, because it is tough to lose a good friend. Do you by chance have a picture of Janga that you can share on the blog? It was a recent diagnosis, Cheryl and she chose to keep the information within her family and a close circle of friends. I do not have a photo to share. Janga was very camera shy and I respected that. I wish I did have a photo of her other than the picture in my mind of the two of us spending 3+ hours in a Cracker Barrel, letting our food grow cold as we talked non-stop about all the stories, characters, and authors who have filled our thousands of reading hours with love, hope, laughter, and joy. As pictures go, it's a good one to have but, unfortunately, lives in my memories and not on paper. Janga was always such a private person. We all shared so much of our lives on the Internet, but she was always circumspect. What she shared, however, was her love of romance and her insights and thoughts on the books. I have read many lovely books, thanks to her. Noooo! I watched avidly for her reviews. The world just lost a bright light. OH, you have made me cry. I did know her from this blog and her comments on another blog. She was always insightful, interesting and entertaining. You are right, the greatest comment anyone can make about an educator is the class is interesting and I learned. I am sure she would have loved to hear about the mind she touched. I know you have had a great loss, PJ, and I am so sorry for your loss. But, I am grateful for your shared memories. Thank you. What a beautiful tribute to a friend. I am so sorry for your loss, PJ, but thank you for letting us know and for the wonderful tribute to Janga. I feel heartbroken; I'm one of those who knew Janga from the Eloisa James board days as well as here at the Dish. Oh how she will be missed! I love the comments here about her being with Jo and Miranda, and I think I'll follow the excellent idea of reading the new EJ now, all the while keeping Janga in mind and heart. God bless you, Janga, and thank you God for the blessing of her for us all. Prayers and blessing to all her family and friends. I learned from Manda Collins that she had passed away. I was saddened to hear it. Please accept my condolences. such insight and eloquence will be missed. So sorry for your loss and thank you for sharing your memories of Janga. I only knew her through the Dish here online but she sounds like a wonderful teacher and friend. A wonderful tribute, PJ. She will be missed by many romance writers who found great encouragement in her reviews, including me. Condolences to her family and to you, her friend. PJ, I am sorry for your loss. I only knew Janga from the reviews she wrote for The Dish. They were always insightful and many of those books made it to my TBR pile and wish list. Keeping you and her family in my prayers. Beautiful tribute, PJ! I'm at a loss for words. I'm heartbroken. The world lost an incredibly special soul. I like the visual of her up in heaven still discussing her beloved books with those who passed before her. It brings me peace! Godspeed, Janga. You will be missed! I am so sorry for not just your loss but it sounds like her community's loss also. She touched many people through her words, reviews, and love of books. She will definitely be missed. P. J., I am so sorry you have lost such a good friend. We will of course miss her and her insight into books. It sounds like she was a special person, not just to the Romance Community. She truly did receive the highest praise a teacher can get from a student. Hold the good memories close. They will help you through the loss and once you have healed, help you remember her fondly. I'm so sorry for your loss. I met Janga on Eloisa James' forum 7 or 8 years ago. We haven't interacted much in the past years, but I always loved reading her reviews and seeing books she was enjoying. She will be missed! I am sorry for your loss. She sounded like she was such a special lady. I am sure special times will put a smile on your face in time. I love her reviews and insight. I'm going to miss her.